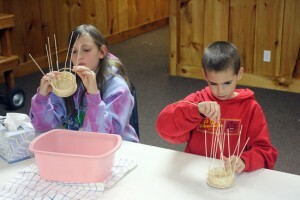 Basketweaving for camps is fun and easy with our excellent kits that make teaching basketweaving at Camp a breeze! Comes with everything you need for a satisfying basketweaving experience for ages 9 and up. Teach your campers to weave a basket in an average of two 45 minute sessions. Visit our Basket Weaving with Kids page for detailed helpful hints to make your classes a super success! Visit the Camp Page on our online store for detailed product information.